Want More Information? Ask Your Culligan Man. Backed by the powerful Good Housekeeping Seal. **Warranties available separately. See written warranties for applicable terms and conditions. 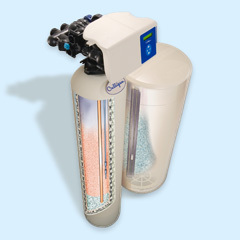 Trust Your Water Softener to Your Culligan Man. No matter which product you have, your local Culligan Man can service and repair any brand of water softener, water filter system or drinking water system. Ask about our Culligan Service Agreements for the most convenient and reliable service for your water treatment system. Your local Culligan Man can recommend the right solution for you. Ask about a Culligan Service Agreement to protect your investment. Professional installation and set up is included for all options.